From the measured blowcounts we calculate the specific cone resistance with own software package and we give data both numeric (table) and graphic formats. We integrate the dynamic penetrometer test’s results with boring logs in geotechnical profiles of geotechnical reports. The SPT was originally developed to investigate the status of cohesionless deposits for pile installation. At present it is widely used in both cohesionless and cohesive deposits for routine exploration for all types of foundation. Because of a high range of SPT database a number of correlation between SPT results and soil properties well known. During SPT tests there are soil sampling in SPT spoon. 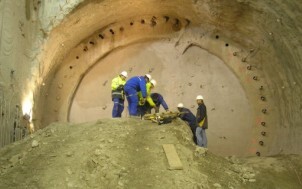 CPT tests were develop for quick and economic investigation of deposits for pile installation quickly and economically. During site work we measure and record tip resistance, friction and pore pressure versus depth. 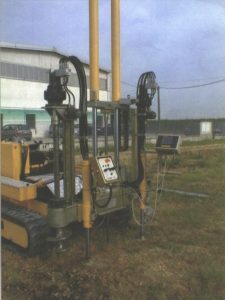 CPT(u) test has advantage for precalculation of pile foundation. Results can be used for design of earth fill foundations and embankments. Measurement range from 0 to 200 kPa. Two vane sizes: Measurements from 0-60 kPa and 0-100 kPa. 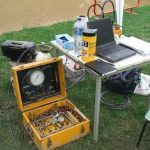 Our modern digital PB presszióméter (Jean Lutz S. A., France) is includeed a measuring unit (PREVO) and a digital measure controller and datalogger (BAP) too. This device is measuring and recording pressuremetric tests in accordance with Standard NF P94-110-1. The parameters are stored in the devices internal memory. 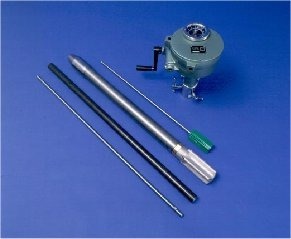 – 74 mm probe with metalic cover. 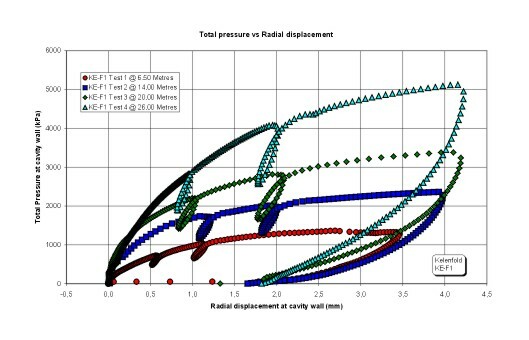 Our well educated engineers interpret the pressuremetric test results in EXPRS (Jean Lutz S. A.) software. This ‘in situ investigation gives rock physical parameters like modulus of elasticity, primer rock stress. Results of rock pressiometer measurements had good correlation with laboratory test result. 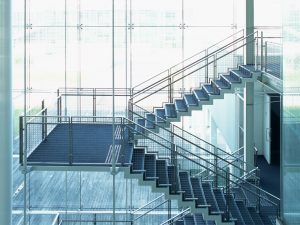 We perform this site investigation with KBFI – Alfa Geotechnological deposit company. The energy is given by the sock of a hammer on the head. The speed of impact is recorded enabling the measurement of the driving energy, the masses being known. Knowledge of of the driving energy and the depth for each blow makes it possible to obtain the dinamic cone resistance using the classical Dutch formula. The recording capacity of the apparatus 4000 couples. Panda system is able to quick soil examinations, determine loose and dense zones, small cavities. Knowledge of the Proctor curve makes it possible to calculate the relative density up to 5 – 6 m depthes. All data can be transfered to a PC using the appropriate software furnished with the apparatus. The tables of values and the penetrograms obtained on the screen can of course be printed. 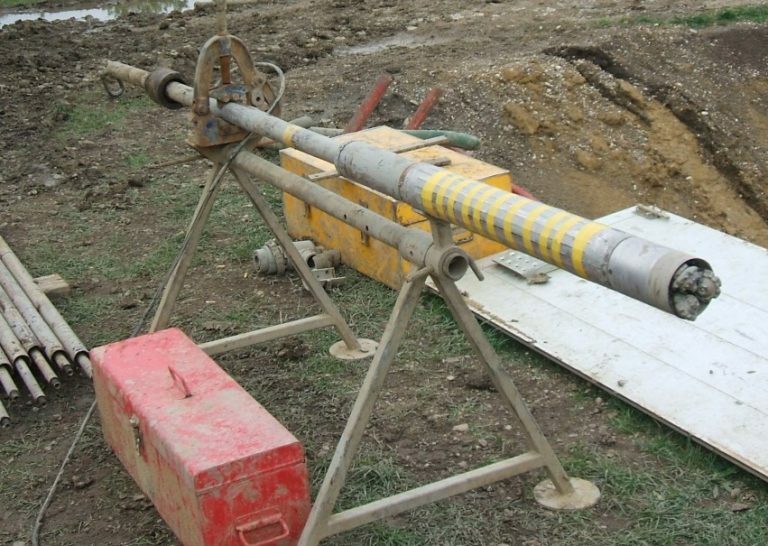 We made hydrogeological investigations in simple boreholes or underground water monitoring wells. Such as variable or constant head tests, pumping testes. In the case of two or more observation wells or in slow regeneration of depression cases we apply digital monitoring equiments to measure water level, water temperature and conductivity data. Water and gas samples of pumping tests are investigated in accredited laboratories. – Friction and dilatation angle. The measured rock mechanical parameters are inmediate available and the calculated ones are included in the final report. Boreholes, steel cased boreholes position measures and calculation of distances.